Once I get the call I always take action. I received a call from my partner about hosting a new open mic. I was very excited about taking the job. One thing I enjoy doing is talking and uplifting talent. To be apart of a open mic is a big deal to me. I love the rawness of open mics. You can enter the stage a show a crowd of music lovers you passion. Once I got that call I acted fast to spread the word. 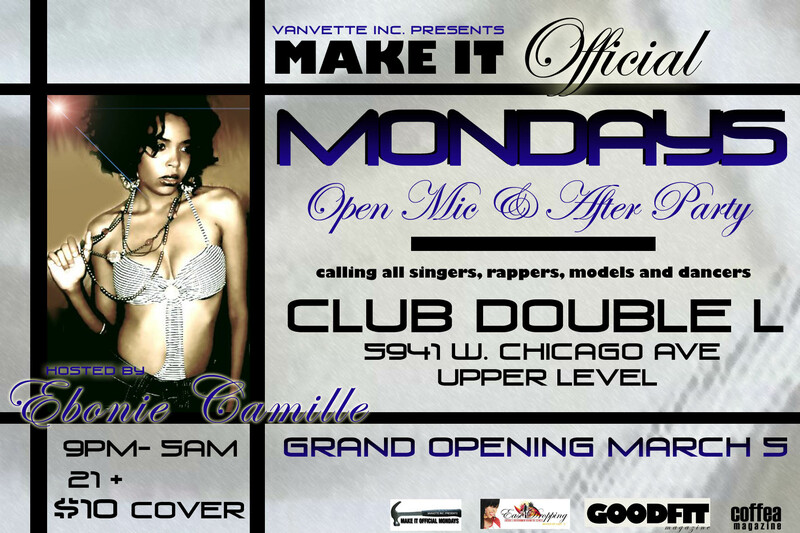 The grand opening of “Make It Official Open Mic” is March 5 at Club Double L. I hope to see all the beautiful talent that will blow my mind and leave me speechless.